Beta Hunt 63 kg gold specimen stone. Photo by RNC Minerals. RNC Minerals (TSX: RNX) announced a record quarterly gold production of 31,360 mined gold ounces in the third quarter of 2018. According to the Toronto-based company, such production represents a 199% increase when compared to the third quarter of 2017 and a 135% increase when compared to the second quarter of 2018. The Toronto-based miner also reported that gold production for the first nine months of 2018 totaled 58,460 ounces, which is a significant hike when compared to 24,305 for the prior year. "Clearly, the highlight of the third quarter was the significant high-grade gold discovery at the Beta Hunt Mine. As a result of the Father's Day Vein discovery, the company will be in a substantial net cash position to fully fund our upcoming activities. With the arrival of the first drill at the site during the past week, exploration activities will begin to ramp up as part of an aggressive exploration campaign. The technical team is continuing to advance their work on understanding the sediment structures in the mine which have the potential for additional high-grade coarse gold," Mark Selby, President and CEO of RNC, said in a media statement. The Beta Hunt Mine is a low-cost gold and nickel mine located 600 kilometres from Perth in the Kambalda mining district of Western Australia. According to RNC, the deposit has the rare feature of hosting both nickel and gold resources in adjacent discrete mineralized zones. Although Beta Hunt is operated by Salt Lake Mining Pty Ltd., where RNC has 100% interest, the mining tenements on which the mine is located are held by Gold Fields Limited and subleased. In today’s update, RNC’s CEO highlighted that some large rocks have been found at the site. "We are also pleased to announce the final gold content estimates for the large specimen stones, which would rank them among the largest ever found. The ‘King Henry’ specimen stone, at 1,402 ounces, would rank amongst the largest gold specimens in existence. 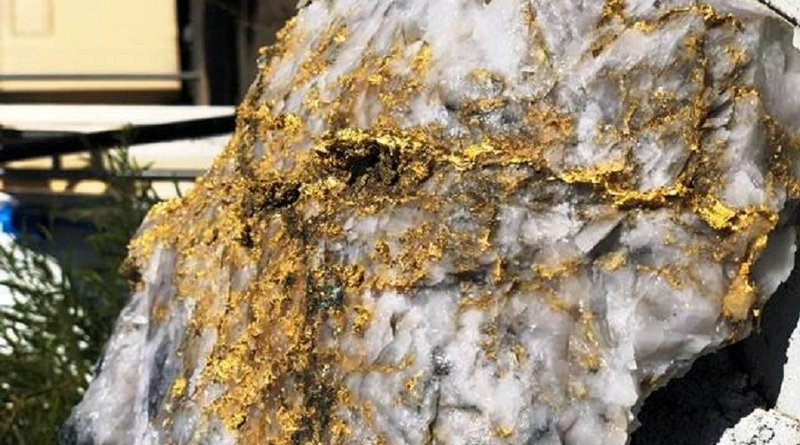 With multiple large-scale and spectacular specimens coming from a single area, we believe the Father's Day Vein may rank among the richest and most prolific gold veins ever found,” Selby said.